Wexford County Council Arts Office in association with ‘Bodecii Film’ has announced a call for application to its new Film Fund initiative. 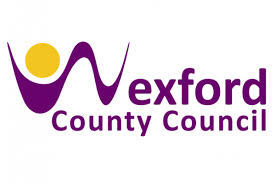 The aim of this annual award is to provide funding and support to filmmakers looking to develop ambitious and creative short films based in the County Wexford region. The focus of this award for 2018-2019 is on filmaker/writer collaborations and is titled - ‘Wexford Stories’. ‘Wexford Stories’ is a unique opportunity to encourage directors/producers nationwide to team with 1 of the 10 Wexford Writers who have previously taken part in ‘Wexford Screen Writers Professional Development Workshops’ run by the Arts Office and Bodecii Film over the past year. The outcome of this intensive screen writing programme, where the writers were mentored by film industry professionals, are ten short screenplays that create exciting, dynamic and engaging screen stories. Wexford Stories welcomes application from a diversity of filmmakers nationwide with a passionate vision who wish to collaborate with the Wexford writers. The goal is to open the door to emerging Wexford writers to team with established and emerging Irish directors and producers. 9. Any additional available supporting material including show reels and links to previous work. All of the above production paperwork must be uploaded as one PDF, (max. 10MB) not separately uploaded. Scripts can be uploaded as a separate file. Assessment will involve a panel interview for filmmaking teams in August 2018. The panel will include representatives from Wexford County Council Arts Office, and/or industry experienced filmmakers. The deadline for applications is: 5pm on Tuesday 31st July, 2018. Applicants will be notified of shortlisting decisions and, if successful, invited to interview in August 2018.